While their other flavors are great, there’s something about nacho cheese Doritos that gets us every time – we could eat a giant bag by ourselves!! 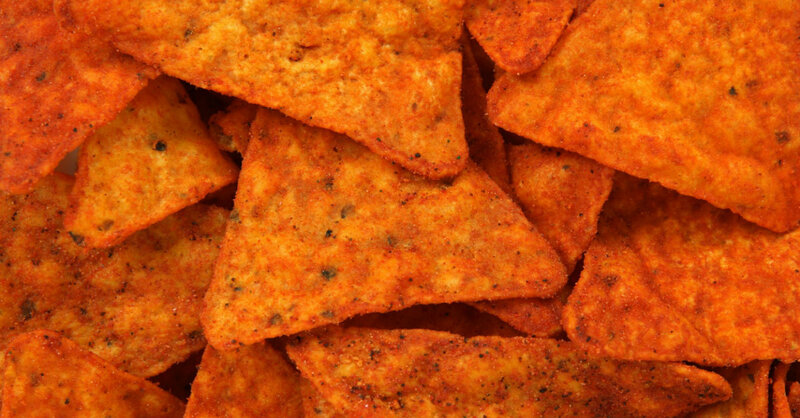 While we (mostly) try to be good and refrain from buying them frequently, we were completely stunned when we realized we could make our own Doritos seasoning at home…and then have it whenever we want. That’s right, by making your own nacho cheese seasoning you can sprinkle it on whatever you like: tortilla chips, chex mix, popcorn, etc. You can Dorito-ify everything! If this isn’t an amazing discovery, we don’t know what is. Grab your spice kits and get going! Using a spice grinder, food processor, or mortar and pestle, blend spices together until combined. Taste and adjust seasoning, if necessary, then transfer to an air-tight container. When ready to serve, place corn/tortilla chips, chex mix or popcorn in a large, resealable plastic bag. Generously sprinkle Dorito seasoning over snack food, then seal bag and shake vigorously until everything is evenly coated. Transfer chips to serving container and enjoy !